Meet Sam, our C.E.O. Sam is the organizer and prime mover for Your Monkey Mind.com. He believes that every Monkey Mind has a purpose and his is to help you reach your full potential by utilizing your connection with your Monkey Mind. Dr. Bill, M.M.D. is our staff Monkey Mind Doctor. 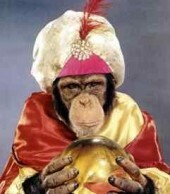 Dr. Bill is an expert on behavioral, psychological and archetypal patterns of the Monkey Mind. Doctor Bill is committed to helping others understand themselves, so we can all live healthier and happier lives. Nurse Wiggens is our staff Monkey Mind Nurse. She has been Dr. Bills dedicated assistant for over twenty years. Nurse Wiggens cares deeply about her patients and her job. She says she has no plans for retirement because for her, meaningful work is what life is all about. George is the Web Master at Your Monkey Mind.com. He is a recent graduate of Web Monkey U. George is single and presently searching for the rite mate. Thanks to George, our website is up and operating. Without him, we might not be connected with you today. This is Howie. You'll never see Howie working too hard but he's always happy and he keeps the staff's morales high. Howie doesn't reveal too much about his personal life, but he is very pro health and happiness. His motto is: 'Inside every healthy person is a happy Monkey Mind!' We all appreciate Howie for his healthy attitude, and for making us laugh! Meet the Author, Jeanne Marie Antoinette. 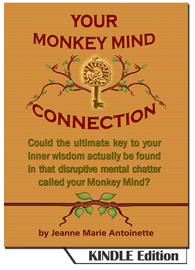 Jeanne Marie is the creator and curator at Your Monkey Mind.com. "It's important to me to show the world what fabulous things Monkey Minds are capable of accomplishing when we provide them with the right connections." "From my perspective, all our Monkey Minds are really looking for is the opportunity to work with us, and become constructive and creative partners with our minds. Monkey Minds have a lot to contribute to the world and it's up to us to open our minds and let them do it!" Ms. Antoinette lives on Hutchinson Island surrounded by her friends, family and dedicated staff." Jeanne Marie is a graduate of Florida International University. Her academic background is in ancient history, theology and counseling. She served for over twenty years as a counselor and clairvoyant in South Florida. As a clairvoyant, she worked nationally helping families, police and private detectives locate missing and murdered children. In 1998 Jeanne Marie left South Florida and settled on the Treasure Coast to begin a new chapter in her life as a writer. In a recent New York Times review, Antoinette was dubbed 'a prolific author of books and screenplays, writing with conviction and a deft sense of style’. Jeanne Marie is presently working on her third novel, “Flowers are Forever”.